If you drive directly south of St. Marys on North Washington Street, you’ll reach New Bremen in just a few minutes. New Bremen is a village in Auglaize County, home to nearly 3,000 people. New Bremen began as a farming community, around the same time that the Miami and Erie Canals were under construction. Settlers were primarily of German descent, arriving by boats traveling along the canals toward Cincinnati. The farmland around New Bremen was fertile, as the area prospered with trade along the canals. Today, New Bremen is a bustling village that embraces its heritage. In August, Bremenfest takes place with community events and tournaments. It’s in New Bremen where you’ll find the Bicycle Museum of America, as well as Pumpkinfest, a local celebration featuring fantastic pumpkin pie. Chickasaw Garage proudly serves New Bremen, OH with expert auto repairs. From our location in nearby Chickasaw, we are a customer-focused, family-owned and operated repair shop. From minor repairs to in-depth mechanical and electrical work, we have the expertise to get the job done correctly. 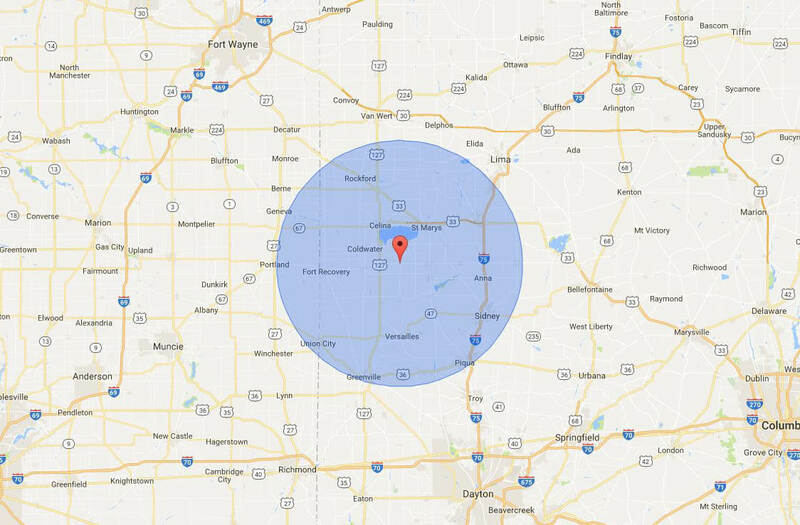 We are conveniently located just six miles west of New Bremen, in Chickasaw.